This is a match made in dental heaven! 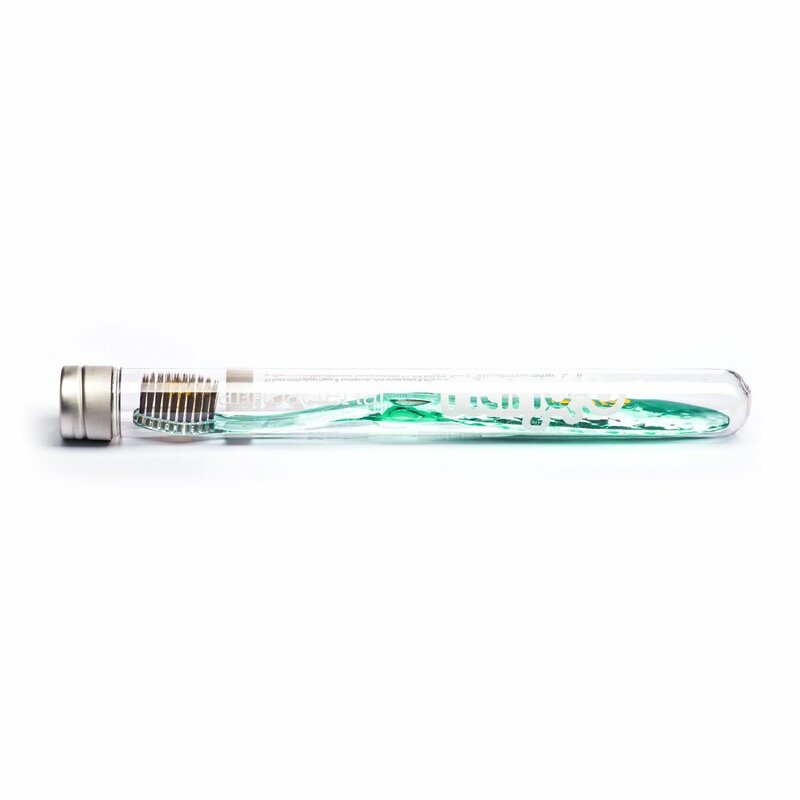 We’ve merged the natural antibacterial and whitening properties of gold and bamboo charcoal to create a toothbrush your teeth will thank you for! 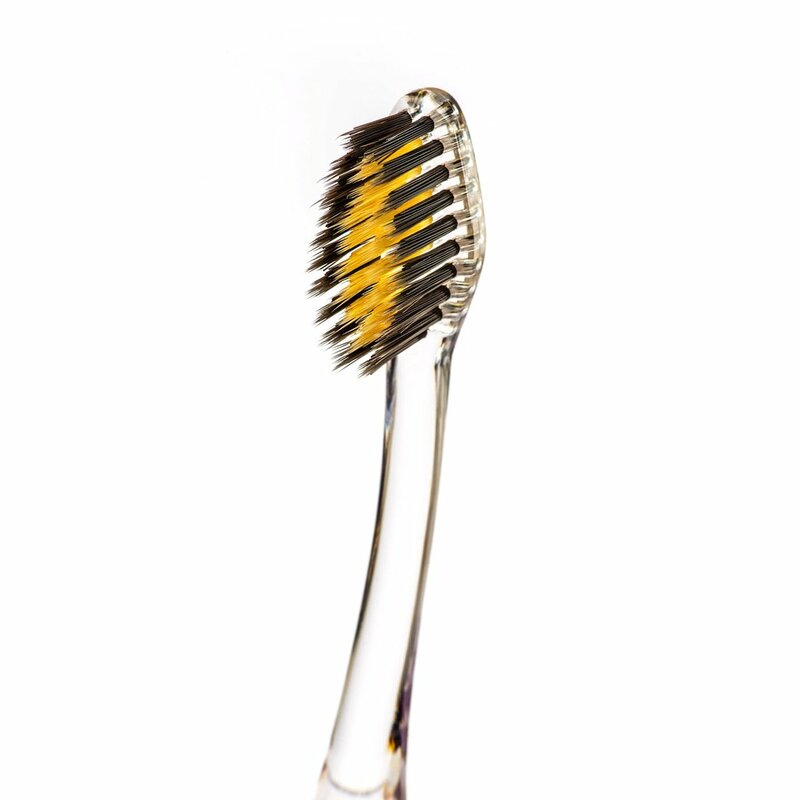 Gold –Half of the Nano-b Charcoal & Gold bristles are impregnated with genuine gold particles to safeguard your toothbrush from bacteria. 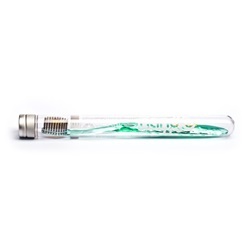 This keeps your toothbrush cleaner and safer, which is what you want from a dental tool you put in your mouth every day. Double bristle structure – A combination of long, ultra-thin bristles and short, oval ones ensures you remove plaque much more effectively. The long, fine bristles imitate flossing action and clean plaque in hard-to- reach places like between your teeth and under the gumline, while the short ones take care of the big surfaces of your teeth. 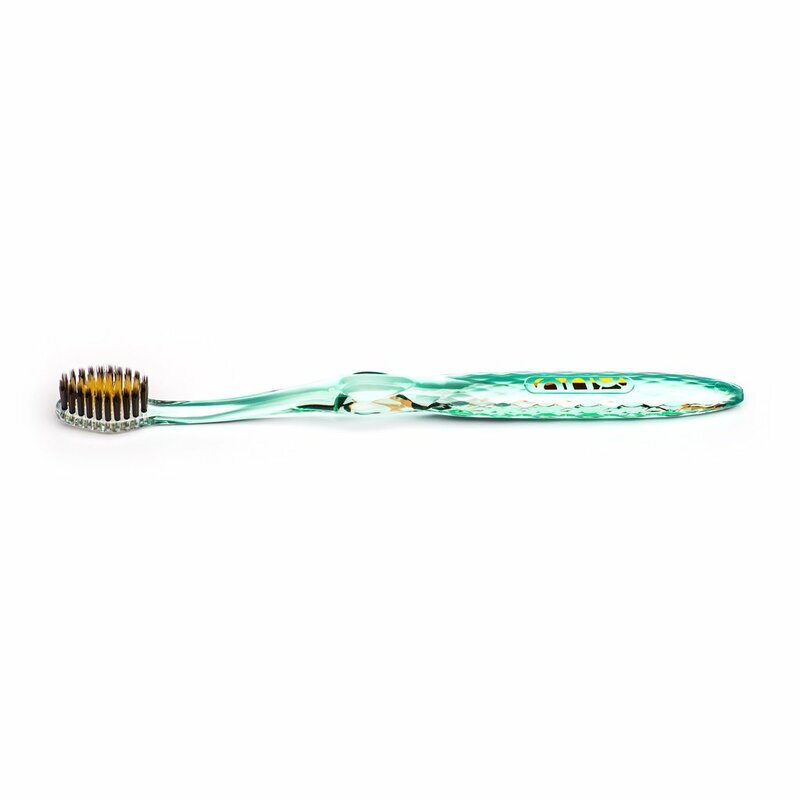 Nano-b virtually combines brushing and flossing in one. Smaller head size – A toothbrush should be able to effectively clean all of your teeth, not just the easy-to- reach ones. Hence, we’ve made the head of our brush smaller and nimble enough to reach and clean your back teeth just as easily. Lasts up to 6 months - Nano-b bristles are more durable and fray much less that standard brushes. Combined with its antibacterial features, this means you can safely use your Nano-b brush for up to 6 months, before getting a new one.